Dubai, UAE: 3M Healthcare Business today announced that it is sponsoring the Spanish Soccer School, where Michel Salgado, the former Real Madrid player, is director. In doing so, the corporation continues to support the UAE youth by encouraging sports involvement and promoting healthy lifestyles, in general. As a brand deeply entrenched at the core of the healthcare system, 3M Healthcare Business, in partnership with Dubai Sports City, emphasized the importance of sports care amongst the UAE youth. A UAE University study published in an online journal in the UAE found that 40% of the UAE youth aged between 3 and 18 years were overweight, 24.4% obese and 5.7% extremely obese. These alarming rates speak to a common need to encourage the youth to actively partake in sports activities, and 3M Healthcare Business is furthering this agenda by sponsoring the Spanish Soccer School and working with Michel Salgado. However, youth participation in sports has its caveats when it comes to injuries, and a Premier League Youth Soccer Study found that adolescence in the under 14 and 16 age brackets sustained the highest number of injuries during training. Owing to its healthcare vertical, 3M Healthcare Business aims to ensure that the UAE youth avoids injury when it comes to training in sports. “One of our primary business verticals is healthcare, and in line with this vertical, our aim is to promote sustainability in youth participation in sports. This means not only galvanizing the youth to the sports arena, but also creating an educative dialogue about the importance of safety and proper preparation when it comes to participate in sporting activities. 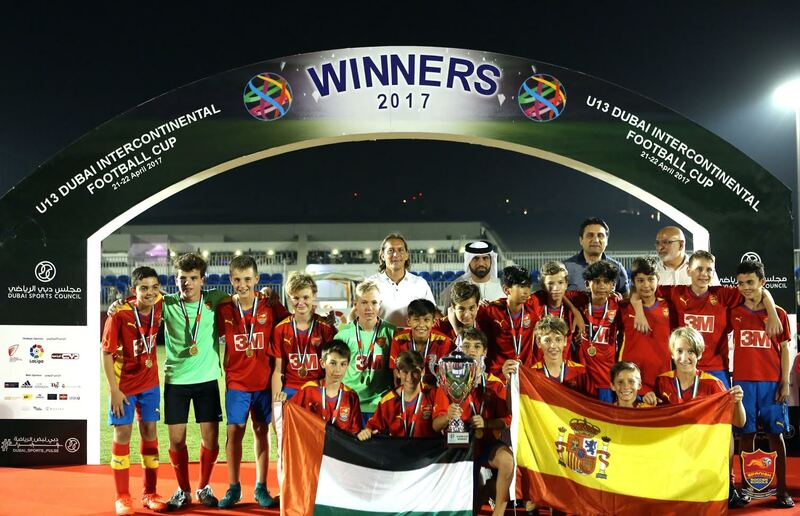 Our association with the Spanish Soccer School, football legend, Michel Salgado, and Dubai Sports City strengthens our association with youth sports in the UAE,” said Walid Feghali Country Business Leader of 3M Healthcare Business Group. 3M Healthcare Business is pleased to invite Michel Salgado to its innovation centre in Internet City to showcase its research and development across a variety of company verticals. Customer Technical & Innovation Centers are unique to 3M Healthcare Business around the world and serve as a mechanism for customer inspired innovation. “As someone who is passionate about youth in sports, in Dubai in particular, I was pleased to join hands with 3M Healthcare Business to promote not just sports participation, but also the important aspect of safety at the Spanish Soccer School. Getting more multinational corporations involved in the conversation around sports will create more opportunities for youth participation,” said Salgado.